America’s Escape Game – Created By And Featuring The Best In The U.S. The most exciting new concept to be introduced this decade in live action entertainment is located on International Drive in Orlando, Florida. America’s Escape Game conveniently located at 8723 International Drive is in the heart of the tourist corridor located minutes from hotels and the convention center. The themed rooms are unlike any other…award winning scenic designers, writers and artists created one of kind rooms that contain clues, puzzles, and other mind teasers and tests of ability that you will have to solve in order to unlock the room and escape. Monthu’s Tomb, modeled after King Tut’s Dig Site which utilizes actual sand and real Egyptian hieroglyphics. Crisis at 1600 puts players into the Oval Office with actual replicas of the Presidential desk, rug and artwork. Pandemic is modeled after an underground laboratory and features real test tubes, microscopes and slides and even real life gas masks! America’s Escape Game is the perfect activity for groups, conventioneers, families and teams. Discounts are available for large groups and game buy outs. Each room is fun and challenging and thus far escape rates for the rooms are all below 15%. 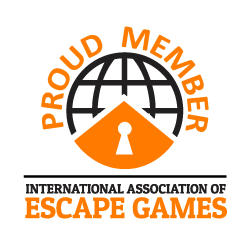 For more information on prices, booking and location please visit www.AmericasEscapeGame.com America’s Escape Game will be at IPW booth #1157 come by and check us out and book a game!